Travel to Nashville is not included. We will respond to every applicant on or before April 1, 2019. If you apply and are NOT granted a scholarship, you will still have time to register for Harmony University at the early bird rate. All scholarships are open until filled. Find out what's right for you, and fill out an application today! Click here to see 2019 scholarship recipients! "Front-line" means the person listed as the director on your chapter database. This scholarship is not for your assistant director or music team member, or the person that may direct you in the future…just your listed front line director. This is intended for teachers who are working in a school, as a music teacher, especially first-time attendees that teach choral music in a classroom setting. It is not intended for college students who wish to be a teacher in the future, or for people with a degree in music who are not in the classroom. We do NOT cover your transportation to Nashville, but once you get here, your stay is all inclusive. This scholarship is open until filled, OR until May 1, 2019. HU offered educational opportunities at the level of ACDA and NAfME, with a focus on barbershop harmony. Yet even with the barbershop focus, I learned so much information that I can take back to my high school choir program! For young men and women ages 18 - 25, based on financial need. No experience required! Thank you for supporting me with a scholarship to attend Harmony University. I am currently studying to become a music educator. 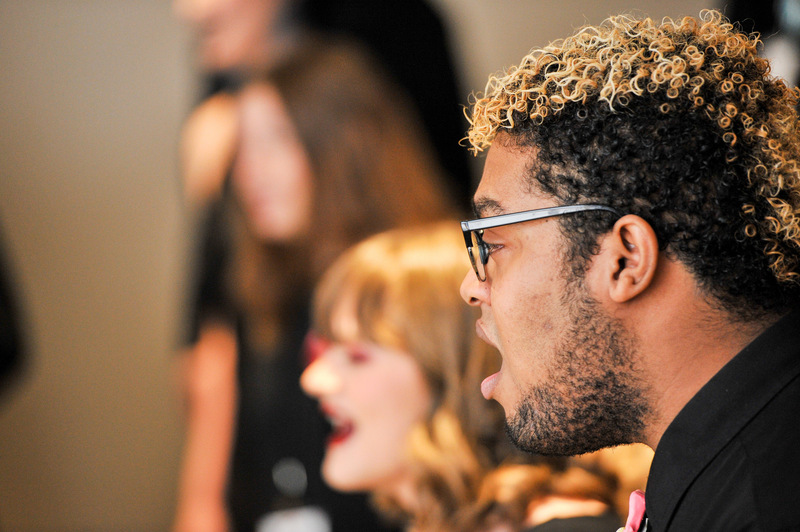 The learning experience in both the Next Gen Chorus and the classes were more than beneficial to my education. I learned so much this summer and will apply this knowledge to help with my future teaching! The classes piqued my interests in overtones and harmonic structure. All classes were fantastic; a few of my favorites included Tune It or Die, Fix Tonal Center and Flatting for Good, and Ring Chords Like Never Before. I cannot thank you enough for the amount of musical and personal growth that this week provided. Canadians, click here to apply for "Sing Canada" assistance. For Barbershoppers outside of the U.S. and Canada, our friends at the World Harmony Council can provide help for you to get to Harmony University, too! Learn more here. Congratulations to the following scholarship award recipients! We can't wait to see you at Harmony University this summer. Only three years as a BHS Member, and Ryan is not only a EVG District-Div 3- quartet champion with his quartet, The Executives, but is also now the President of Canada’s most northern chapter: Spruce Grove, AB. He is so thrilled to be attending Harmony University for the first time. "I have been deeply connected with the Tucson Chapter since I've gotten down here in 2008. The only positions I haven't held are Secretary and Treasurer and I'm back on another go as VP of Music and Performance. I hope to learn much more while I am at HU and take what I learn and implement the ideas into our chapter." "I'm the founder of the first Italian barbershop quartet, and I've worked ten years to spread this mainly unknown fine art to my country, and with the same spirit I've united new emerging quartets under a national association of singers (BAFFI - Barbershop Association For Formations of Italy). I've started a barbershop class and choir 2 years ago in one of the biggest music schools of the country, and some high school barbershop projects in my hometown (Ferrara, in northern Italy). 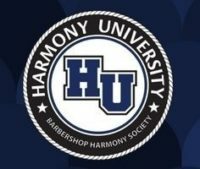 Attending Harmony University Director School in 2018 has vastly added to my skills and motivations, supporting my great love for the genre with the best knowledge and experience the world could offer: attending HU 2019 will further my progress and will help the growing of Italian barbershop culture." "I joined Sweet Adelines International in 2005 and have immersed myself in barbershop singing and education since day one of my journey. I have SAI and BHS to thank not only for my barbershop education but also for my musical education in general. As a Co-Director of Grand Mesa A Cappella Chorus, my music theory may be self-taught but my love of barbershop harmony and all things musical lives deep within every cell of my body. I am Sweet Adelines and I am Barbershop Harmony!" The Northsiders were formed in 2013 when a couple of members were put together in an ad hoc Singing Valentines quartet with the New Tradition Chorus. Since then, they have gone on to be one of the most dynamic a cappella ensembles in the area, headlining a beer launch, going on TV for Barbershop Quartet Day in 2018 (and earning a return spot this year! ), finishing "on the podium" in every BHS contest they've entered, and finishing runners-up twice at regional Harmony Sweepstakes. One unique aspect of the Northsiders is their liberal use of subs. Because of their workings with other barber shoppers in the area, about a dozen different individuals have performed as a Northsider for a day. Sometimes doing paid gigs and sometimes doing volunteering, the Northsiders are all about performing. Having come close to winning District and qualifying for International, the Northsiders are excited to take the next step! Jonathan Woolf sings bartione with current Pioneer District Champ, REMIX, and is currently working as an intern at MPI Research, while pursuing a degree in Auto Mechanics from KVCC. In addition to singing baritone with Remix, Jon is involved in Pioneer District’s youth chorus, The Voice, a collegiate quartet, Four Instance, and will sub for Four Got To Shave from time to time. Both Jon and Sam accompanied The Voice when the chorus went to the 2016 International Youth Contest in Reno and received an OUTSTANDING rating. Before joining the BHS seven years ago, George had not sung in public in 45 years. Introduced to barbershop by his late son George III, he became a founding member of Detroit Sound Machine. George sings to honor his son’s memory and to share the joy he has found being a part of this community. Clifton Boyd is a Ph.D. student in music theory at Yale University. He is currently working on a dissertation on American vernacular music theory, with a particular focus on barbershop music. In addition to his academic pursuits, Clifton is a staunch advocate for diversity in music academia. Dylan Broome begun his journey in barbershop in 2010 while performing in the Music Man. Since then he's sang with the Mountaintown Singers, college quartet Voicemales, and he currently sings with Detroit Sound Machine and the City Lights Chorus. Music has made an impact on his life since age 6. He enjoys embracing and sharing his love for the art with everyone! Josh Moore began his musical career in the 5th grade playing the trumpet, but didn't discover the joy of singing in the choir until much later in life. He sings in his church choir, the Music City Chorus and his quartet, High Gravity. When Josh is not barbershopping, he is a chemistry professor at Tennessee State University. Paul Grimes started as a cellist in grade school, and discovered barbershop in high school. Paul is a member of the Alexandria Harmonizers and has been a member of the Society for 36 years. He has represented the Evergreen and Mid-Atlantic districts as both a chorus and quartet member. Paul developed his interest in arranging soon after joining his first chorus, and with the encouragement of fellow barbershoppers he pursued it further. He still plays cello, and is branching out learning bagpipes, mandolin, and hammered dulcimer. Paul is a Program Manager at Dell EMC Technologies.